We are currently gathering information on our high school youth. Please fill out the information sheet High School Youth Information sheet and email to the Parish Office at parishoffice@allsaintsrossford.com. If you have any questions please call the Parish Office at 419-666-1393. 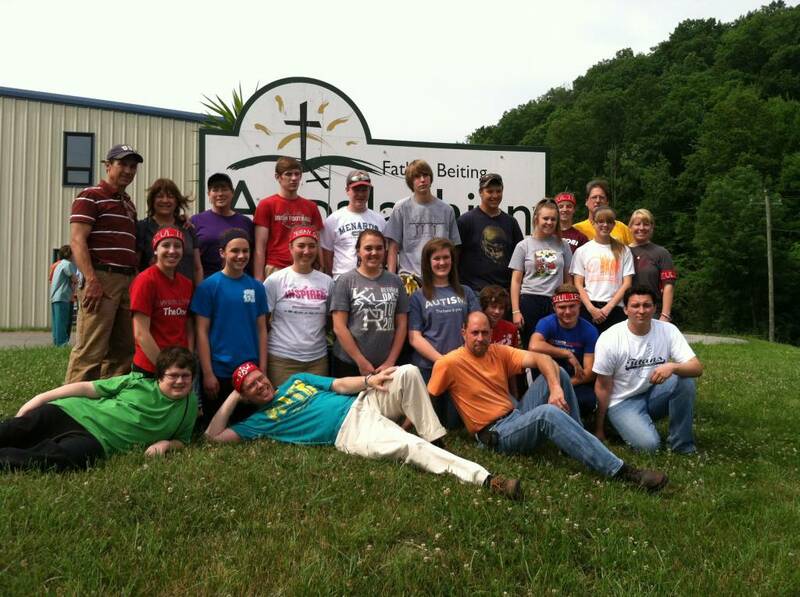 On June 7, 2015, twenty-three parishioners left All Saints for the 2015 Youth Group Mission Trip to Louisa, Kentucky. We did a variety of service projects over the weeklong adventure such as building decks, installing exterior doors and flooring, as well as working in a food pantry, thrift store and nursing home. Click here to link to a slide show about our experience. Visit the All Saints Youth Group Facebook site to see more photos about current activities. The All Saints Athletic Association is responsible for the CYO athletic program for All Saints Catholic Church in Rossford. All Saints athletes play in leagues sponsored by the Diocese of Toledo Catholic Youth Organization. To find information on forms and documents, coaches, fundraising events and more, visit the All Saints Athletic Association's web site.